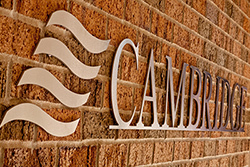 Cambridge Investment Research, Inc., is an independent, privately-controlled broker-dealer with over 780 home office associates, and 3,200 independent registered representatives serving hundreds of thousands of clients across the United States. Financial professionals choose to work with Cambridge as their independent broker-dealer so that they may offer their clients unbiased investment advice. Broker-Dealer of the Year 9 out of the last 11 years. Investment Advisor magazine1 announced that for the seventh consecutive year, Cambridge Investment Research, Inc. was named ‘Broker-Dealer of the Year’ in 2018 among broker-dealers who have over 1,000 producing advisors. Cambridge has earned this honor for the ninth time, previously honored in 2017, 2016, 2015, 2014, 2013, 2012, 2010, 2008, and 2007 as Broker–Dealer of the Year in Division IV and in 2003 for Division III. Cambridge is financially sound, has been consistently profitable for more than 20 years, and continues to maintain a strong commitment to providing resources and support that help our rep-advisors serve the needs of their clients. According to Financial Planning magazine’s 2016 FP50 Survey, Cambridge ranked eighth in terms of revenue2. Cambridge has net excess capital and debt that consists mostly of mortgages on our 80,000 square foot corporate headquarters. Being privately owned, Cambridge Investment Research, Inc. over the last few decades has consciously built a structure to ensure continued success without selling. ¹Investment Advisor magazine, 2018, 2017, 2016, 2015, 2014, 2013, 2012, 2010, 2008, 2007, Division IV; 2003, Division III. Cambridge received the highest marks from its rep-advisors in the Investment Advisor Broker-Dealer of the Year 2017 Division IV category. A broker-dealer becomes eligible for this honor only after a minimum of 10 percent of its producing rep-advisors cast valid ballots. These ballots also rate the broker-dealer in 15 different categories defined by Investment Advisor as relevant challenges and concerns by rep-advisors. The broker-dealers receiving the highest marks in each of four divisions are declared Broker-Dealer of the Year by Investment Advisor magazine. Proprietary study results are based on experiences and perceptions of participating rep-advisors surveyed in June of the eight years listed. Your experience may vary. Visit thinkadvisor.com.